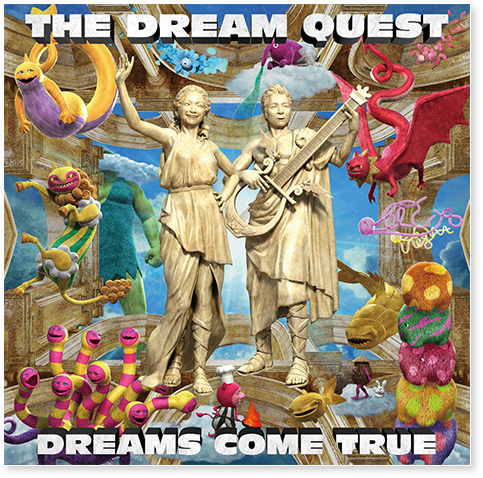 In what will be three years since the release of "ATTACK25", a new album called "THE DREAM QUEST" will be released on October 10th. It will have 12 tracks total, five of those tracks will be "Kyuushuu wo doko made mo", "Itoshi no Riley", "Anata no you ni", "KNOCKKNOCK! ", and "Anata to Onnaji Sora no Shita". I thought there'd be a new album to accompany a nationwide tour during a non-Wonderland year. The cover and tracklist for the album is now out. EDIT - I didn't realize I had misspelled "Anata to Oonaji Sora no Shita". I'm sorry..
Last edited by Kohaku on Fri Sep 08, 2017 1:09 am, edited 1 time in total. And "The Dream Quest" is officially a #1 album! Is it just me or are there a LOT of throwbacks to older stuff on this album? Like, it really feels like a retrospective of DCT's entire career. Very definitive.